Attorney Ms. Lei Jiang focuses her practice in business and related litigations. Ms. Jiang has worked on all phases of business, from starting up to divestiture, and routinely advised companies on different issues related to merger and acquisition (M&A), restructuring the business, buying and selling asset/ownership, securing intellectual properties, tax, business immigration, etc. Ms. Jiang has also helped many businesses successfully complete numerous transactions, both complex and routine. Deal size varies, but M&A deals above 1 million become a routine. Because of her extensive tax background, Ms. Jiang is able to provide more effective and efficient advice to businesses and corporations in structuring their deals. In addition, Ms. Jiang handles many real estate transactions and closes many such deals on a yearly basis. These deals include shopping mall, industrial building, apartment, office buildings, restaurants, and others. Ms. Jiang has also represented many property owners in the courts for various disputes, and advised them of their rights and options under the law. Ms. Jiang and her team further provide comprehensive immigration services to clients. Ms. Jiang is an active member of American Immigration Lawyers Association. She specializes in investment based immigration (EB5). She has assisted both regional centers as well as individual foreign investors to achieve success in EB5 area. In addition, she handles many cases in the immigration court, such as asylum, deportation/removal defense. 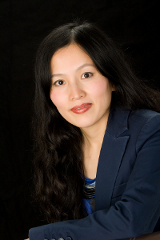 Last but not least, as a licensed U.S. patent attorney, Ms. Jiang handles both patent prosecution and litigation. Her intellectual property practice focuses on U.S. patents as well as international patents through Patent Cooperation Treaty (PCT) and Paris Convention. Ms. Jiang strongly believes that attorneys have a responsibility to help strengthen their local communities, and to provide those in need with access to legal service. She has a long history of supporting various charitable organizations and rendering legal services free to people without means, without voice, or both. Ms. Jiang was recognized by the Cleveland-Marshall College of Law for her pro bono and community service and received an award for her pro bono work while still in law school. Her commitment to helping the underprivileged did not cease when she began her own practice. Ms. Jiang has represented many indigent clients as a pro bono counsel in both state and federal courts. She has also participated in various pro bono programs and community service. As a result, Ms. Jiang has been recognized by Cleveland Mayor Jackson for her “extraordinary service to the Asian/Pacific American Community in the City of Cleveland” in both 2011 and 2012. Ms. Jiang is currently serving as the President of Ohio Asian Business Association. She was an immediate past President of Great Cleveland Chinese Women Association.